MSN has a history of cellphones in pictures which is quite interesting. From those military backpacks that were heavy bricks to the new HTC Touch and upcoming Apple IPhone, mobile phones have certainly evolved. Technology is moving at a very fast pace - with new digital networks, voice over IP, and smartphones. Will phones replace wallets and credit cards moving society to a cashless form where all things are digital? Time will tell…. Lets travel down the memory lane and and check out what mobile phones were like then as i m sure many of you had little recollection of what it was. 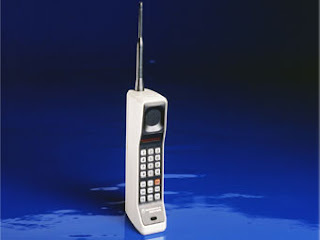 My 1st experience of a mobile phone was back in 1985 and I could recall it clearly being a Motorola. It was massive in size by current standard (almoast the size of a brick) but in 1985 it was a work of art and only the elite groups could have one. The price for a mobile phone then was about US$7,ooo and you can even have it insured just incase. In 1985, you could buy a small flat or even a car with $7,000. In those days, many could only wished to have one. 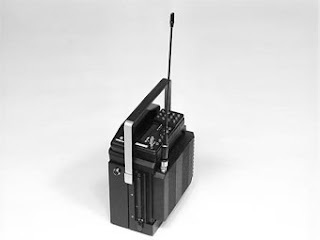 The call quality over the analog connection was poor as its almost close to walkie talkie quality and the call charges wasnt cheap too but the idea of mobility was just great. These days the design of mobile phones have to be small enough to fit into pockets or handbags. Not only that, it must also be small and pack with features like messaging, camera, audio and video players, organizers and god knows what will future design will come up with. But back then, it could only do voice call and the call quality in comparison to current standard is no where near crisp. 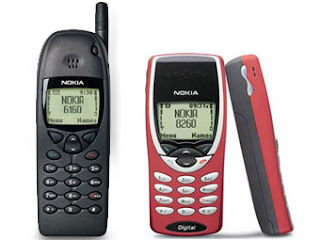 Mobile technology had certainly advanced with credits going to Nokia, Motorola and Ericson who were the real pioneers who had made it a reality. It may look more like a boombox than a portable phone, but this boxy, bulky device was actually Nokia's first mobile (if you can call it that) phone. 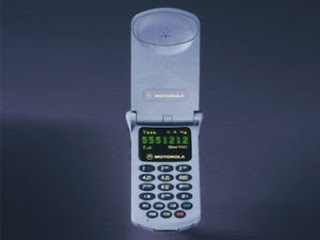 Introduced in 1982, the Nokia Mobira Senator was designed for use in cars. After all, you wouldn't want to use this phone while walking: It weighed about 21 pounds. Before the Motorola StarTAC was introduced in 1996, cell phones were more about function than fashion. 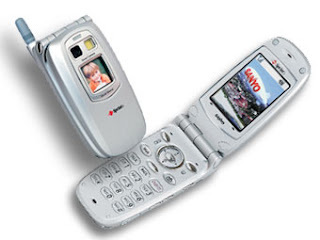 But this tiny, lightweight phone ushered in the concept that style was just as important, ultimately paving the way for today's sleek-looking phones like the Motorola Razr. This 3.1-ounce clamshell-style phone, which could easily be clipped to a belt, was the smallest and lightest of its time. 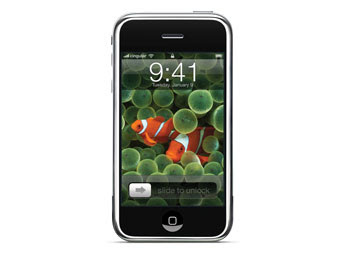 In fact, it was smaller and lighter than many of today's teeny-tiny cell phones. In the late 1990s, Nokia's candybar-style cell phones were all the rage. Sporting a monochrome display, an external antenna, and a boxy, 5.2-inch tall frame, the Nokia 6160 was the company's best-selling handset of the 1990s. The somewhat sleeker Nokia 8260, introduced in 2000, added a colorful case and lost some of the 6160's bulk: it stood only about 4 inches tall and weighed 3.4 ounces, compared with almost 6 ounces for the 6160. If you're one of the many fans of the Palm OS-based Treo phone, you might want to thank Kyocera. 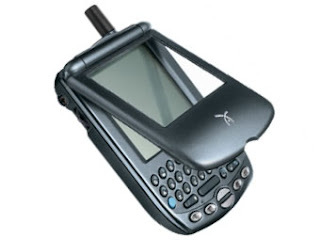 The company's QCP6035 smart phone, which hit the retail market in early 2001 and cost between $400 and $500 (depending on the carrier), was the first Palm-based phone to be widely available to users. It included a measly 8MB of memory, and sported a bland monochrome display, but it paved the way for future products. 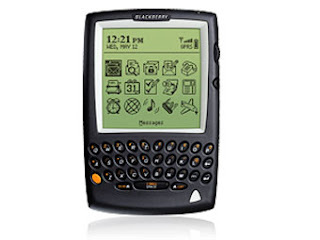 Before the BlackBerry 5810 came along in early 2002, Research In Motion's devices were best known for their data capabilities: Push e-mail technology, Organizer features, and thumb keyboards. 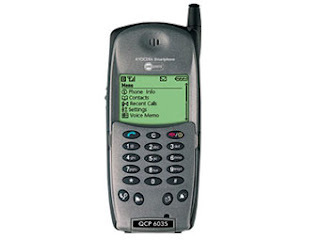 The 5810--the first BlackBerry to offer voice capabilities--changed that perception. This device added a GSM cell phone to the package, albeit one that required the use of a headset (it lacked both a speaker and a microphone). 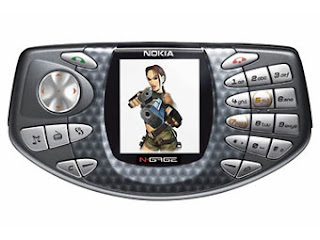 Nokia's N-Gage also created plenty of buzz when it was launched in 2003, but, unfortunately, most of the buzz was bad. This combination cell phone/gaming device was supposed to lure gamers away from their portable devices. Instead, it earned scorn for its odd curved design, and the fact that you had to hold the phone on its side to place a call. Later versions (like the N-Gage QD, launched in 2004) fixed many of the problems with the original device. But for many, the damage was done. Cell phones continued to get thinner and more stylish over the years, but it was the debut of the Motorola Razr v3 in 2004 that took design to another level. 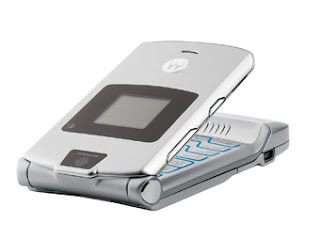 With its super-slim lines and sleek metallic look, the Razr quickly became the must-have accessory. Three years later, it remains one of the most popular handsets on the market (according to market data from The NPD Group, various versions of the Razr were 3 of the 4 best-selling handsets in 2006), and is one of the few phones offered by almost every major wireless carrier. It promised to bring together the best of two worlds: Apple's excellent iTunes music player and Motorola's cell phone design expertise. The Motorola Rokr, released in September 2005, was the first music phone to incorporate Apple's music software. It allowed users to transfer songs purchased from iTunes to the phone for listening on the go. Unfortunately, users found song transfers to be painfully slow, and many were stymied by the 100-song limit imposed on their music collections. Still, this handset paved the way for today's music phones, including those (like the Motorola Slvr and Razr V3i) that support iTunes. After months of speculation and rumors, Apple confirmed the news in January: The company does indeed plan to launch a cell phone. 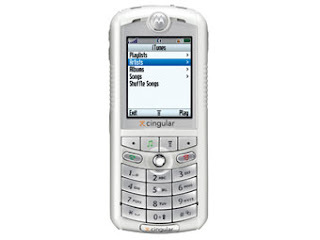 The device, which is expected to be available from AT&T/Cingular in June, will feature an innovative design: it lacks a numeric keypad. Instead, it will feature a touch-sensitive screen. The iPhone will also reportedly include a 2-megapixel camera, the ability to sync your iTunes collection to the phone, and it will run Mac OS X. Whew. We can't wait to get a look at one. It was extremely interesting for me to read the article. Thanks for it. I like such themes and anything connected to them. I definitely want to read more soon. It is rather interesting for me to read the post. Thanx for it. I like such topics and everything connected to them. I definitely want to read a bit more on that blog soon. You know what, buy GSM blocker to block all secret devices in your home or at work.